As blockchain technology continues to mature, issuers today can launch a security token more efficiently than ever. 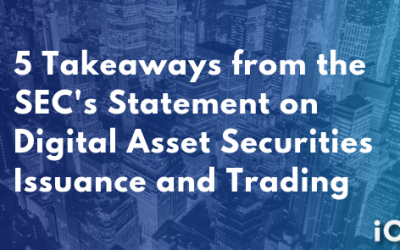 However, while there are many tools on the market that can help you issue a token as a security, most of these tools fall short, leaving issuers to handle the liability and token compliance on their own once the asset has been sold. This article should not be considered legal advice, but will hopefully shed light on a few important questions as well as examine seven key myths that we see persist among management teams planning to issue a token. Securities legislation doesn’t exist to make the life of an issuer difficult—tokenized security or otherwise. Regulators have a duty to ensure market stability and, more importantly, investor protection. This means that what matters to regulators is not whether the issuing business is headquartered in the U.S., Singapore, Switzerland or anywhere else, but rather whether a U.S. citizen is able to own the asset. The responsibility falls on the issuer, as well as their advisors, to ensure that their tokens are not held by U.S. investors. Compliance is not about checking off boxes—it isn’t a form or application that can be filled out, submitted, and later tossed into the trash never to be seen again. Compliance is an active and stringent regulatory mechanism that is favourable to both issuers and investors. This is easier to manage when assets are controlled by broker-dealers or other centralized entities but becomes increasingly difficult to manage when these assets are decentralized, moving peer-to-peer or being exchanged on one of dozens of crypto exchanges. Research shows that $2.5 billion of dirty Bitcoin alone has been laundered through these platforms. The token launch market has had an especially hard time with this concept, as many ICO and STO platforms claim to help you with launching your token or coin, often brazenly plastering “compliant” across their sites and messaging without following these regulations themselves. Once your project has created and issued a digital asset, it is your responsibility and liability to ensure it stays compliant with regulations in perpetuity. business development support for over 150 countries. If the SEC determines the token is indeed a security, very likely action will be taken sooner or later to protect U.S. investors. Potential steps towards remediation may include rescission offers, forking or burning problematic tokens, and self-reporting to the SEC. The tokens created in traditional coin offerings are simply not capable of meeting these requirements and may need to be replaced or rehabilitated before they can continue to be traded without regulatory action. Did you launch a token that is now facing regulatory action? iComply offers compliance rehabilitation software to transform previously issued tokens into compliant security tokens. Interestingly, the SEC’s very first investigation into blockchain finance was of The DAO, an entity situated outside U.S. borders. As such, issuers should have a strong understanding of jurisdictional boundaries and the movement of tokens on peer-to-peer networks (including secondary trading); once a token has been issued to an investor, the responsibility of that token remains with the issuer. listing the token on an exchange for secondary trading. The hard reality is that a simple opinion letter stating why your lawyer thinks your token is not a security bears little weight when (not if) your token or coin is audited by regulators. While regulators in various markets may use slightly different tests, the fundamentals are often quite similar. It doesn’t matter what you call it . . . as the saying goes, if it looks like a duck and quacks like a duck, it just might be a security token. While experts, gurus, influencers, and advisors abound in the blockchain industry, many of the best resources available tread much more carefully. 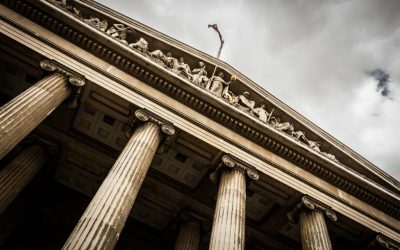 Top securities lawyers have struggled with the nuances of structuring sound offerings, and experienced accountants have only recently begun to achieve clarification on FIFO vs LIFO (First In First Out vs Last In First Out). In a market this young, there are few players who can provide the extensive legal knowledge required to navigate the space. This does not mean consultants aren’t available, but rather that due diligence is critical, and it is imperative that the team you build around your offering have the resources and experience to make your token offering successful. Despite this uncertainty, many of these service providers have been taking on clients in droves, not because they have the expertise but because of a booming market and the opportunity to make good money. Unfortunately, an opinion letter from your lawyer will not protect you; issuers are still liable, and a lawyer will (often) be more than willing to continue collecting legal fees in order to represent that same client, should things go awry. As we saw when Mark Zuckerberg, in his testimony to Congress, explained some of the most basic elements of Facebook to a perplexed room of lawmakers, technology clearly has the ability to advance far faster than the laws that govern it. So it is unsurprising that new laws and regulations have not yet been created to solve these problems. Lawmakers and regulators must navigate this uncharted territory with caution. There have been countless demands for regulators to define a new global framework for tokens—alas, it seems unlikely that a consensus will be reached anytime soon. Fortunately, technology can be used today to achieve the same result by enabling decentralized assets to adhere to current regulations. We created the iComplyICO platform and Prefacto™ technology to meet this need, to automate and decentralize these processes, providing efficiency and a global reach of decentralized finance while maintaining the compliance standards of traditional finance. If you are looking to launch a token, you can use the iComply platform to manage an unlimited number of offerings, access professional advisors, and connect with investment partners. This may be one of the most prevalent myths about token offerings today. The truth is that the SEC’s jurisdiction is securities. If it is not a security, then what is it? A smart contract could represent rights—or be the actual asset itself—to a security, commodity, or consumer good. Each of these comes with their own regulatory restrictions. However, regulatory oversight and legislation are only a small piece of the legal puzzle. In the U.S., multiple law firms have filed class action lawsuits on behalf of investors for violations of the Securities Act, and the SEC has begun taking action on those issuers selling unregistered securities, committing fraud, false advertising, and more. While companies that issued their tokens in the early days of the craze did not have decentralized compliance solutions available to them, issuers today do. While this list is far from exhaustive — and should not be construed as legal opinion or advice — it details some of the aspects of token issuance that you should be mindful of as you consider this exciting new technology as a way to raise capital, engage your community, and reach new markets. For these new and future issuers, we are likely to see more and more tokens issued in compliance with current regulations, unlocking the doors to institutional investment, larger raises, and more innovative ideas reaching fruition worldwide. Onwards! Looking for an end-to-end token management studio? iComply's token compliance platform, Prefacto enables issuers to capture the value of blockchain asset management with multi-jurisdictional compliance automation for over 150 countries.